One of my big pet peeves, when web-surfing, are sites that have music/video that automatically starts playing when you open the page. This is a big hassle when I am opening several pages at once in different tabs, because I am usually listening to my own music, news or podcasts at the time; then multiple streams of music and videos start competing for my poor computer's limited resources. The biggest offenders are myspace pages and Native-American pages (of course!). Enough with the flutes, already!!!! Set "autoplay" to "false" in your HTML, please!!!! That being said... Please, please, please, please play this song!!!! I guarantee, that it will be worth your time. The Black Lodge Singers at Canyon Records. "The Seeker"; continues to evolve. See previous posting below, or click here, if it has queued off the index page. Pics click to enlarge and open in new tabs/windows (as do most Bingorage clickable link text and pics). "The world's first geoduck fishery was created in 1970, but demand for the semi-forgotten clam was low. Today, they sell in Asia for up to US$30/lb (US$65/kg). The Jumbo clam, like abalone, is highly regarded in Chinese cuisine." "demeaning and degrading and do nothing more than uphold negative stereotypes of First Nations as a conquered and subservient people." Press release; February 13, 2007. A new statue by a Native sculptor, has been dedicated at Central Michigan University. "Gete-Achitwa-Asinakwe is the latest achievement of Grand Rapids artist and Saginaw Chippewa Tribal Nation members Jason Quigno... Perched on a square of gravel created from the chips of stone Quigno excavated from the two ton monolith, the sculpture uses several textures and natural colorations in the stone to reveal a woman’s face surrounded by a cloak on one side and her long-flowing hair on the other. The smooth, flowing lines are Quigno's forte." A new monument to honour Native Veterans, a "memorial tipi", will be built at the First Nations University of Canada, Saskatchewan. The following site has some copies of pictograms (fragment above) that appear to have been scanned from older textsources that I would like to see. I'll dig around for an original source. 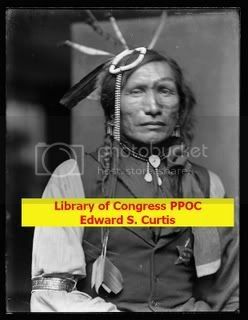 PICTOGRAPHY AND IDEOGRAPHY OF THE SIOUX AND OJIBWAY TRIBES OF NORTH AMERICAN INDIANS. The site of the Sand Creek Massacre is to be dedicated as a National Historic Site, April 28, by the National Parks Service, US Dept of the Interior. The Wikipedia article on the Sand Creek Massacre (as of April 26/07) tends to absolve the US government of responsibility, laying blame at the feet of one, Colonel Chivington. "As to Colonel Chivington, your committee can hardly find fitting terms to describe his conduct. Wearing the uniform of the United States, which should be the emblem of justice and humanity; holding the important position of commander of a military district, and therefore having the honor of the government to that extent in his keeping, he deliberately planned and executed a foul and dastardly massacre which would have disgraced the verist [sic] savage among those who were the victims of his cruelty. Having full knowledge of their friendly character, having himself been instrumental to some extent in placing them in their position of fancied security, he took advantage of their in-apprehension and defenceless [sic] condition to gratify the worst passions that ever cursed the heart of man. "Whatever influence this may have had upon Colonel Chivington, the truth is that he surprised and murdered, in cold blood, the unsuspecting men, women, and children on Sand creek, who had every reason to believe they were under the protection of the United States authorities, and then returned to Denver and boasted of the brave deed he and the men under his command had performed." A few random pics; a little something for new readers. No bludgeon deer with platypus. Polar melting = more Inuit bear snacks. "If you're interested in learning about gemology from a scientific rather than from a commercial or artistic viewpoint, then you are in the right place (not that either art or commerce are unimportant or will be ignored, they just won't be our main focus.)" Have you ever heard about Hikaru Dorodango? Me neither, but they are exquisitely simple and beautiful objects made just from dirt and water. I am going to try and make some, shortly. Pic clicks for another gallery. A poetry professor in Pennsylvania believes that he was suspected of planting an expl0sive dev1ce(recycling paper, by a dumpster), by an ROTC student, because of his dark skin. "Because of my recycling, the bomb squad came, then the state police. Because of my recycling, buildings were evacuated, classes were canceled, the campus was closed. No. Not because of my recycling. Because of my dark body. No. Not even that. Because of his fear. Because of the way he saw me. Because of the culture of fear, mistrust, hatred and suspicion that is carefully cultivated in the media, by the government, by people who claim to want to keep us "safe." April 26-28, 2007. Cowichan Aboriginal Film Festival, Cowichan, BC. "In galleries here and abroad, Indian art is being celebrated, says Gerald McMaster". National Aboriginal Internship Programlistings for CTV, Canadian broadcaster. Deadlines are May 4; positions available across Canada. "degree from the University of North Dakota because it continues to use the "Fighting Sioux" team name and logo -- a contentious and litigious issue in Grand Forks." Reach The Rez, radio podcast. "A weekly one hour high energy, hip hop and R&B "mix show"/"talk show" program. The broadcast will update listeners on Reach the Rez Tour progress and events, as well as feature on-air interviews produced at different locations throughout the tour. The Reach the Rez Tour is headlined by well-known actor and rapper Litefoot (Cherokee) who will hold speaking engagements and concerts on reservations across Indian Country in the hopes of bringing a positive message of hope and empowerment to Native communities, especially the youth. Litefoot will also host the Reach The Rez radio program." Here's an article about a possible TV series to be filmed at White Otter Castle (NorthEast of Rainy Lake and accessible from the Quetico region). White Otter Castle is a very large loghouse structure that was built by one man, Jimmy McOuat (or "McQuat"), supposedly for a bride that never arrived. He was found floating in the lake a few years after completing the project and is interred on the property. The "castle" was featured in an episode ofCreepy Canada. When I visited the castle, I never felt anything more sinister than isolation. The lake has many cliffs that host a variety of pictographs ("rock art"), that may be decades, centuries and millenia old. You may have heard about this story, already. Micheal Daisey, a monologist, performing in Boston was interrupted during a performance by a group of 87 people walking out, en masse. One of the people came on stage and poured Micheal's water all over his notes, which were a handwritten, original outline of his monologue; which, subsequently, is different, for every performance. Certainly, this performance turned out to be unique. Apparently, the group was offended by strong language and believed that they had been assured of a "clean" show, beforehand. The box office reps claim that the group's rep was told the show contained "adult language and situations". Anyways, here is the performer's initial posting about the incident, and his follow-up posting about his conversation with the apologetic "water-pourer". Any questions or complaints? Leave me a comment. There are no dumb questions. Starting another "Heart Mask". First Heart-mask posting. Interview with Apache/mejicano poet, Margo Tamez, at Blog Critics Magazine. "Artrain USA is currently showcasing Native Views: Influences of Modern Culture, a contemporary Native American art exhibition. Comprised of 71 artworks by 54 Native American artists, Native Views explores the influence of popular culture and the many commonalties shared by all Americans. Visitors will discover the richness, complexity and breadth of contemporary Native American art while examining varying perspectives on society. Guest curator, Joanna Bigfeather (Western Cherokee and Mescalero Apache) redefines Native art by broadening the limits and confronting the stereotypes that currently define it." An article in The Guardian newspaper about an art show, in London, England, about the initial contacts between Britain and the New World. "The Native American images on show are records not simply of English and British imperial power. They are, rather, relics of some of the many setbacks and failures that this empire experienced, especially in its early stages. In regard to these particular paintings, it is not only the natives who will know defeat." "American Icons Through Indigenous Eyes", April 13 - May 6 at the District of Columbia Arts Center, Wash.DC. Curator: Suzan Shown Harjo. An article at Space.com explaining possible link between the Solar System's cyclic movements in the galaxy and periodic extinctions on Earth. There's an interesting entry at Wikipedia for plastic shaman, a dergoatory term that I had not heard before, referring to a fake shaman/"medicine man". "Many of those who work to expose plastic shamans believe that the abuses perpetuated by spiritual frauds can only exist when there is ignorance about the cultures a fraudulent practitioner claims to represent. Activists working to uphold the rights of traditional cultures work not only to expose the liars and predators that exploit Indigenous traditions, and Indigenous communities, but also to educate seekers about the differences between traditional cultures and what has been described as the New Age, quick-fix, monetary-based, individual approach to spirituality." Another history of the Cherokee site. 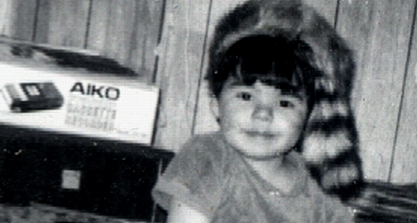 Two girls born to every boy birth, in the shadow of Sarnia's Chemical Valley. Residents live in an area known as chemical valley - Canada's largest cluster of chemical, allied manufacturing and research and development facilities - and co-exist with smoke stacks and nauseating smells that carry with the wind." Wichita city has stopped plans for a sculpture, because of religious paranoia. "A proposed park sculpture including elements of primitive calendars and Native American artwork has raised eyebrows in Wichita with some complaining it could have religious overtones." Note: The biographical links are attached to editable Wikipedia articles which are subject to change and/or vandalism. Northern Ontario historian and entertainer Rodney Brown sings the Finnish Labour Temple Song. Rodney Brown and Jukka Tolonen's band Cool Train recorded this song for the Hoito Project. Plus; April 28,11am-4pm, Prosvita Hall, Thunder Bay NWOntario; Rodney Brown and other performers will get a chance to play the Six String Nation guitar. Pic from previous vase-thingie posting. The following pics in this posting click for larger images. ... then added to the vase-thingie, along with a "stem" made from a carpet roll tube (Thanks to REVCO Carpet). Plaster of paris was mixed with sand and poured down the stem to create a stabilising weight and an angle to the vase-thingie. You will notice that the deerhead mask is now more "upright". The "flower" is traced upon and then cut out of 1 inch thick corrugated cardboard, then a small mask hotglued-on to create a face for the flower. The flower and petals outline are then cut (with a narrow handsaw). The petals are then separated by hand and taped to finish the "overlap" effect. I took a quick pic to check the look of the piece, then started to paper the flower head. Video beading lessons at Fire Mountain Gems. Youtube results for "beading tutorials". Rocky Mountain Bead Bazaar, April 28-29, Denver. Another, new artist social network; MyArtSpace.Com. No review. I have not signed up yet, but it looks legit. An online store that sells 'bisqued" ceramic beads, that you can finish, yourself. An excerpt from The Ethical Spectacle. Please read the whole text. "...After Salman vanished, a New York newspaper published an article saying that he was under investigation for links to the terrorists who attacked the U.S. on September 11-- diverse irrelevant facts were adduced to support the supposition that Salman was a terrorist, such as the fact that he had studied chemistry, that he was a lab technician at the university. Fliers went up in his neighborhood saying that the FBI wanted to speak with him--fliers that were later said not to have been authorized by any law enforcement agency. Imagine losing your child and then having to hear that he is under suspicion. This is what Salman's parents suffered. Six months later, Salman's body was found in the wreckage of the World Trade Center. What had happened was exactly what his family had believed: he had seen the disaster and he had gone there to help. He had life-saving skills and he went there to use them and he died..."
An excerpt from an upcoming book by lawyer Clive Stafford, representing Guantan0m0 prisoners; can be found here, at The Guardian paper, online.
" I had visited several times and there was something nagging at me. I could not work out what left me uniquely unsettled about the place. It was not the depressing environment; few prisons are inspirational. It was not the occasional intimidation. Eventually it came to me: I could not remember being lied to so often and so consistently. In Guantánamo, lying was a disease that had reached pandemic proportions." A discussion about terr0rism, at OpenPolitics.Ca; a "wiki-based" poltical discussion site where users can register and add to the debates. Although the site is registered to a "dot-C-A" domain, political discussion is not limited to Canadian issues. "The mission of open politics is to support civic engagement and the open exchange of ideas via the internet. This site is designed to make it easier to learn, deliberate and decide complex issues in public policy..."
The Nunavut government had formerly declared that Polar bears were not in decline, but they have backtracked, and are now admitting that bear numbers are in decline. As the arctic polar icecap continues to melt, questions about Canada's sovereignty in the arctic will grow. What does that mean? Nation states and merchant shippers around the world are looking forward to the day when The Northwest Passage [Walrus Magazine article on Arctic sovereignty] opens up, saving time and money on an east-west trip that avoids the fees and canal of Panama, or the dangerous route around the Antarctic-ward tip of South America. The rub, is that the Northwest Passage is considered by other countries to be an international "strait" [Wikipedia def.] and not an internal Canadian waterway. Already, "mystery submarines" have endangered Inuit hunters on the sea and chased sea mammals into the smaller bays with their sonar blasts. Canada has been treating the Arctic archipelago as a third rate neighbourhood for some time, anyways. Inuit families were forcibly relocated from Northern Quebec to Resolute, in the fifties, in order to serve as human "flagpoles" for a federal government that was (and is) unwilling to spend the money to actually develop the promised infrastructure and assert true Canadian sovereignty in the Arctic. Don't worry Canadians; if we aren't willing to do it, the US will take it over for us and start spilling oil over everything. John Shiwak, Inuit Canadian soldier killed in WW1. Mohawk protestors close VIA Rail line, between Toronto and Montreal/Ottawa. What is not being widely reported is that the quarry site (under land claim) which has been a catalyst for the protest, is an illegal dump site, including highway materials; which may explain government of Ontario reluctance to investigate. The Seeker, updated. Smaller pics click to enlarge. The left arm has been replaced with a Whitetail Deer antler. A new, small face relief was tested in "heart position", then moved under the torso. The right hand is made more realistic by adding fingers and conversion of existing finger into a thumb; styrofoam "Adam's apple" added. Paper "musculature" and "skin" added to the right arm, "adam's apple" and second face. Paper details added to neck profile, shoulders, ribs and "adam's apple". I've only taken a quick peek, but there is much info. at Sleeping Crow: Red Tao. Perhaps let me know, if this site (or any of the sites I list) is useful to you. Northwest Coast First Nations Lecture Series at the West Vancouver Museum; April 18, May 9, 23, Jun 13, Jul 4. You have probably heard the story of Canadian engineer Maher Arar and his illegal kidnapping and "rendition" to torture in Syria, by US authorities acting on Canadian (false) information. Now, there are calls for Canadian journalists to reveal their sources for the campaign of leaked disinformation unleashed by Canadian officials to cover their asses; by smearing Arar, incognito. The City of Calgary is seeking "Expressions of Interest" for public art. The City of Calgary Public Art Program, in conjunction with the Utilities and Environmental Protection Department, is seeking Expressions of Interest (i.e. Request for Qualifications) from experienced artists with a demonstrated ability to design and produce integrated public art within environmental and/or ecological projects relating to water. Relevant experience working on interdisciplinary design teams and riparian restoration projects, as well as related construction and project management skills will be considered an asset. Bad Astronomy is a blog that seeks out junk science in pop-astronomy and explains the 'right stuff'. Iron White Man ("Sioux Indian from Buffalo Bill's show"); supposedly fought at Little Big Horn. Became a performer in Buffalo Bill's Wild West Show. 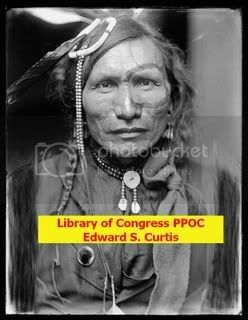 Edward S. Curtis Wikipedia article. You may be using the wrong picture formats on your webpage. This guide will explain correct usage for JPEG, PNG and GIF formats. An article on critical thinking. Some rightwing bias. Forestry corporation, Abitibi, is turning over an island in Lake of the Woods to a joint Treaty #3 / City of Kenora partnership. Norwegian police helped U.S. authorities run a sting to break up an antiquities smuggling ring specialising in Native American sacred/historical objects. The Heard museum has commissioned a replacement Totem Pole for one that was repatriated. An article about Blackfeet artist Mari King. Brent Micheal Davids has collaborated on a new concerto. BMD homepage, and Wikipedia article. Ojibway artists Andrea Carlson and Jim Denomie open a show at MCAD, Minneapolis College Art Design. Closing May 27, 2007. Leonard Peltier Buffalo painting for sale. We are currently seeking features, shorts, documentaries, dramas, comedies, animation by international and Canadian Indigenous filmmakers and producers. We invite all genres and lengths and encourage submissions from first-time and emerging directors. We are also seeking radio programming and new media works made by Indigenous producers and artists. Radio and new media submissions are presented at a Mediatheque centre during the festival. Running the Numbers: An American Self-Portrait.
" This new series looks at contemporary American culture through the austere lens of statistics. Each image portrays a specific quantity of something: fifteen million sheets of office paper (five minutes of paper use); 106,000 aluminum cans (thirty seconds of can consumption) and so on. My hope is that images representing these quantities might have a different effect than the raw numbers alone, such as we find daily in articles and books." I got the idea for these artificial bonsais from a Discovery Channel (Canada) show called How It Is Made. The structure is built up with wire or pipe cleaner and paper towel. The bark is papier mache and the foliage is plastic... or shell... or sumpin else. I have decided to take liberties with the form. I came to LMS through a recommendation to read Almanac of the Dead; an epic story. Her great critical success is Ceremony. When I did a search on the novel, I found plenty of critics' reviews. [Sample]. Interview with Tara J. Ryan ; president and owner of Tijer Lily Co, a Native entertainment promotion and management service... Regarding the clueless casting for "Native" roles by mainstream cinema. At NativeVue.org. A tribe of Indigenous people, The Piraha, were discovered in South America a few decades ago. What makes these people so important to the world of Anthropology is that their language is apparently devoid of many components that we take for granted. Things like the past, future, colours and numbers!!!! "Well; how could they not have those things? ", you say. One of the little nuggets that I picked up in Anthropology classes is that "lack of cultural components does not indicate "primitiveness" so much as it demonstrates lack of need for such things, in a given environment". Huh? They do not have TV's because they do not need TV's. Apparently; they have no use for anything higher in number than "one" or "many", either. Start exploring the Haida language. It's not definitive, but it's another piece of evidence backing the bird-dinosaur connection. Ever felt like an outsider? Like you didn't belong? Alone? Priming the Bass Sculpture, etc.